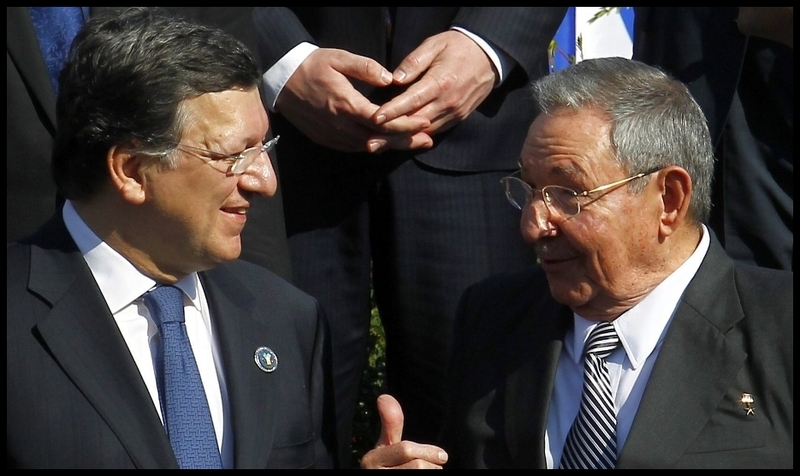 Negotiating with the Castro brothers would be a betrayal of the European block itself. 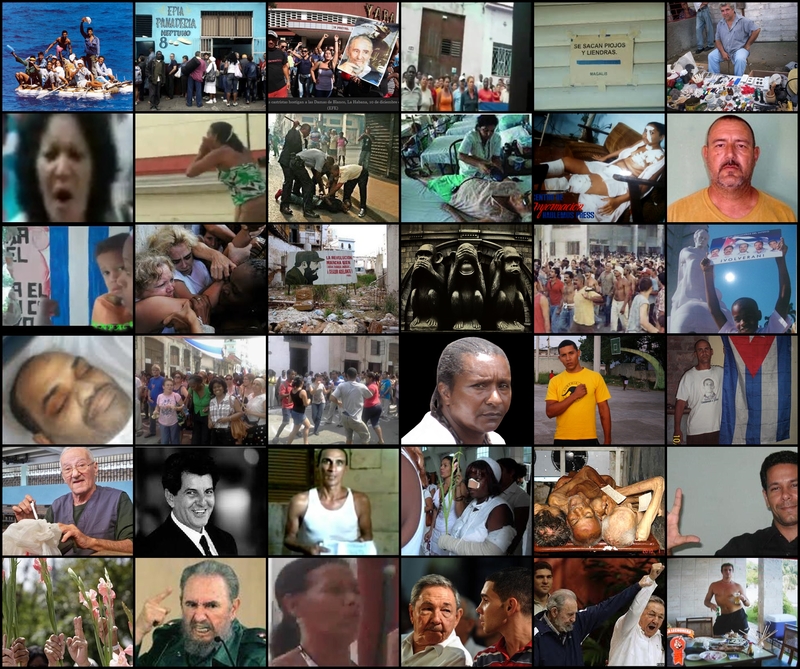 The Cuban regime holds an extremist position and won’t cede one iota of its unanimous power. The Universal Rights that the 28 members of the EU proclaim would never be found in the current Cuban system. What more does the opposition want than to meet the formula that ends the anguish on the archipelago? Although it tries to be optimistic, that possibility seems far away to me, especially when the Cuban regime hasn’t even signed the United Nations Human Rights pacts. Cuba has refused for more than five years to ratify the pacts, justifying itself by saying that first some points in the Constitution must be changed. 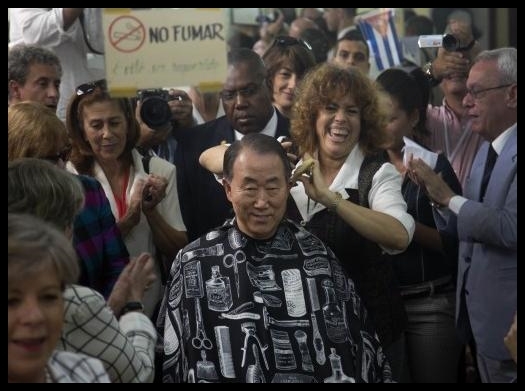 Nevertheless, this doesn’t prejudice the members from electing Cuba to the Commission of Human Rights. Thus can cynicism and irony be found at times in politics. Let’s hope that the European Union doesn’t repeat this terrible error, in spite of the lobbying of Cuba’s ambassadors in their countries. The European Union, in order to be coherent in foreign politics, first must think about the Cuban people, and then of the millions who can stop profiting from negotiating with a tyranny. The opposite would be to disrespect themselves, and to regress in their foreign policies and position on Universal Human Rights. Personally, disgracefully, I’m not optimistic. I agree with the reservations of Germany and the Czech Republic that Raúl Castro will not respect the idea of democratizing the country, and that he has devised some interplay of political manipulation for the negotiation. As long as the European Union maintains the principles set forth in the Common Position, it doesn’t have to fear a weakness in its reception abroad, since it understands that for the Cuban government to be flexible on the issue of human rights would weaken its iron grip on the Cuban people, its slaves. What is clear is that without changes Cuba can only go backwards, because what is certain — we reaffirm — is that the Castro family isn’t thinking of abandoning power, because they behave like a dynasty and believe that power belongs to them by right. The opposition, with international help, must show them they are wrong. Once again the Cuban people see themselves exposed to different economic interests, without the possibility of having any say in the matter. Let’s pray and fight so that this time is the exception. My writer friend had called me alarmed, impressed by the scarce decency and the rough methods used against me. I was punished as a common prisoner, my friend told me, but in the main chamber of State Security’s Provincial Tribunal, in the special venue for distinguished cases of Carmen and Juan Delgado. Now he confirms that the bond was imposed by the “political police”; he said he was impressed. I learned that my case was numbered “444” like a television serial that is shown these days. My friend is sad. I laugh at such ridicule, such cowardice, and I imagine the day when the truth will come out into the light and unmask the cunning politics. What would they think, those people who support the government or stay silent in order avoid prosecution? The settlement where I find myself detained is a fine example of the slave labor that exists in the Castro brothers’ dictatorship. The prisoners are up at five in the morning, and they keep them going almost until midnight, or perhaps longer, according to the immediate work needed. The food, in addition to being scare, is poorly prepared and sometimes rotten: acid picadillo, raw undercooked chicken and, countless times, stale bread. Eggs, rice and a tasteless, colorless soup is the constant menu. These prisoners endure the long march because it offers them the possibility of visiting their family every 27 days for 72 hours. They go from one pass to another, moreover enduring bad treatment and the usual blackmail that can make them lose the pass if they don’t complete their work in the time demanded. In my case, as I don’t collaborate with the reeducation program, my regulation pass for my punishment is for every 70 days. State Security suspended my last passes. They don’t want me immersed in civil society; I represent a great danger. It wasn’t just for the fun of doing it that they constructed my crime. Really, as I made known to Major Cobas and the rest of the repressors who accompanied him, “You will not be able hurt my ideas in any way.” When I preferred to be taken prisoner rather than emigrate on a boat to Miami, it was because I felt fortified for the experience that awaited me. The worst thing about hired assassins is that their injustice is without limits, and to justify my not leaving, they have withheld the pass from these ruined hands that remain captive, without carrying about the extreme submission, that they accept full-time. To cover up the injustice committed against me, they have made it greater. I would have to decipher the true intention they pursue; perhaps it’s to provoke criticism of me by those prisoners and at some moment generate some retaliation upon seeing me at fault for their punishments. I remain alone awaiting their reactions. The dictatorship observes. They are interested only in maintaining power for the dynastic clan of the Castro brothers. What’s certain is that nothing provokes me to break. Their abuses redouble my resolve. Please follow the link to sign the petition to have Angel Santiesteban declared a prisoner of conscience by Amnesty International. We know that in more than a half century of command, the only thing that has interested the Castro brothers is to keep their damn power. For that they have submerged the nation in profound poverty. In order to maintain their prolonged rule, they have converted the country into a state of terror. They have filled the prisons with young people who, not having another option, have preferred to become delinquents rather than becoming submerged in the profound, generalized economic crisis. Also the professionals, after pursuing advanced degrees and becoming professionals who would be in high demand in any other country, are obligated to commit crimes of embezzlement. The lucky ones have found a way of leaving the country definitively, or by employment contracts between the states in question, and with meager pay, which helps them to moderate their miserable lives. Another part keeps hoping to emigrate, and while that wait goes by, they repress their longing to think, criticize, demand better, because they fear reprisals from the political police for daring to dissent from the government program, and they survive on remittances received from the exterior. The minority remain, those who don’t have even a remote possibility of emigrating or receiving remittances, and although they may also dissent like the rest, they have no other option but to cling to the structures of power to receive the inferior surplus that they let escape for those who get close, which is barely sufficient to breathe and to survive. Power is maintained thanks to the blackmail of this minority, which they use as a repressive force. The so-called “white collar” crimes are very common, because they toil like prisoners, in economic control or directing construction works. 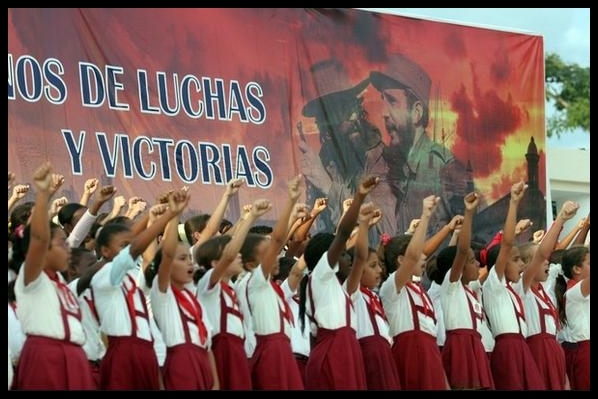 Historically, we Cubans have been separated politically, and although diversity is healthy for free thought and democracy, we have been marked by the extreme of what we wish to attain and defended it at all costs. 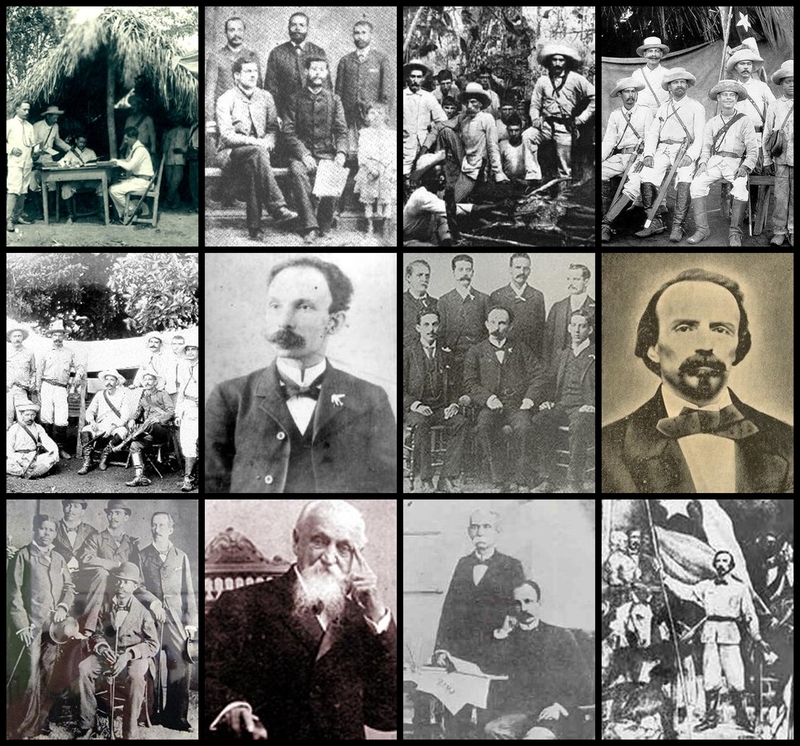 José Martí never was understood by those upper military leaders who accompanied him, and his death, in a certain way, was caused by them. Before, Carlos Manuel de Céspedes also had his political enemies inside the mambisa rebels, until he was removed as the President of the Republic in Arms, and replaced with Salvador Cisneros Betancourt; then they left him alone and without protection in San Lorenzo, and there is a version of someone confessing at some moment that it was a betrayal of the high command of the insurrection. Political struggle has been a constant in Cuban history; inequality existed even within the same parties. The day that we learn to listen and understand one another will be the day we have the force to change our society. But first we have to start with ourselves, an unfinished subject for all Cubans. Until then, unity is till a pending issue, and the freedom of Cuba is compromised. Please follow the link to sign the petition to have the dissident Angel Santiesteban declared a prisoner of conscience by Amnesty International. Officer Abat accompanied by a captain has visited the settlement with the intention of searching my writings and readings. Can I borrow a section of the paper Papa? / Take it. / Thank you. But, what kind of journalism is this? Where’s the dog’s opinion! They started reading some news chosen by the editor of my blog to keep me updated with national and international events. While they did it, I watched the interest of knowing another reality prohibited for them. 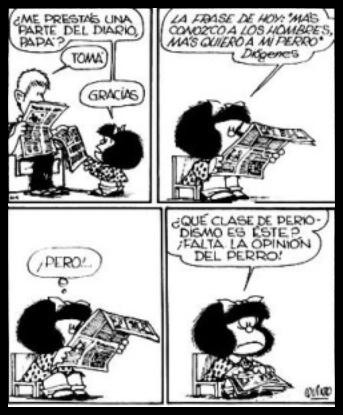 They were greatly surprised when they read El Nuevo Herald newspaper and saw the photo of Raul Castro in an article from the 7th of this month by the journalist Pedro Corzo: “The Castro Bourgeoisie.” With early tachycardia, the one who was reading it, hurried to the other officer to show him the offense but, brazenly, he read the extensive text with interest. From my position, I reveled in watching them read the free press, different from the hardbound articles of the national press. In the end they left leaving all my papers in their place. I’m sure they left if not scared, at least more free. They learned that there are places where everything can be said, from one side and the other, where opinion is respected with worship. Hopefully soon we will have a Cuba where there is this respect between so many who deny us and no one will be imprisoned for thinking differently. Sign the petition so that Amnesty International will declare the Cuban dissident Angel Santiesteban a prisoner of conscience. How do you explain to Mr. Herman Van Hooff, Director of the UN Regional Office of Culture for Latin America and the Caribbean for UNESCO, that Cuba lies in all its public statistics? To read the official reports and be guided by them is to fall into a fraudulent game. 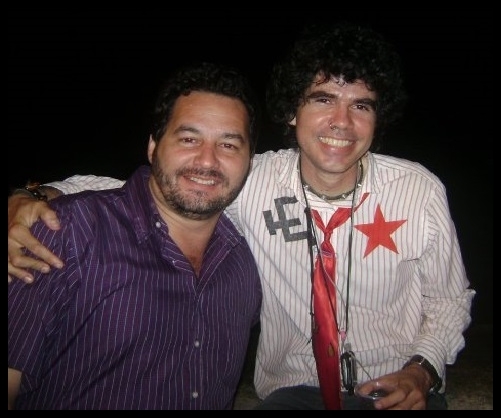 For a full appraisal, if you want an honest one, I advise you to read the blogs and news reports of independent journalists, who by practicing ethical principles in writing the truth, are beaten, harassed and imprisoned, for writing about the prevailing daily reality in the Cuban archipelago. Those of us who have kids can say how truthful the daily journals are, making us the unique source able to bear witness, only to take the chance — without any interest other than expressing the truth — of being put in a punishment cell: The schools lack teachers from the primary levels, the great majority of them without skill or the base of minimal knowledge indispensable for the job, to such a degree that the pupils correct the teachers’ basic spelling mistakes on the blackboard. They were a force of teenagers without a base of knowledge facing the classrooms. They committed the most brutal crimes of a human being, like killing a pupil by beating him with a chair in the basic secondary school Domingo Sarmientos, in the Havana neighborhood of Lawton, which only came to light through independent journalism. Minors were raped, teenagers got pregnant, they committed thefts in the same schools where they were assigned, as well as pederasty, bribery, and fraud at levels never before seen. I can assure the UNESCO representative that in a great part of the educational centers, which I know in Havana by witnessing these arrangements, any student who presents 5 CUC automatically passes; that the “teachers” who receive special attention, invitations and generous gifts from the parents give preference to these kids, according to the scale of the acquisitive level that they present, preventing disciplinary action by giving gifts of more money, although really the kids have been suspended. Mr. Herman van Hooff, I claim it’s not a fallacy or a hoax: the actual president of Cuba, in his speech this past July 26, 2013, recognized and corroborated the abysmal education of the youngest generations, because a large part of those who went before found themselves imprisoned for various crimes, sometimes the only path taken to alleviate the general crisis, when emigration wasn’t possible for them. Today some of those schools “in the countryside” are converted into prisons, spaces of savage humiliation for those young people who lost their way toward doing good, or really the offered political circumstances suppressed in them all possibility of surmounting obstacles and improving their lives. These schools are perfect concentration camps, centers of forced labor, cheap labor in the style of colonial slavery, with no medical attention, overcrowding and starvation. They are places where the officials teach them what they need to later exploit them, and which follow the civil tradition of bribery to receive the diploma for the courses studied, and they can receive as a benefit the reduction of two months a year. For a climax, Mr. Van Hooff, you make this official declaration on the only days that the dictatorship used a group of kids dressed in the Pioneer uniform to repress, in a crowded public street, the political opposition, surrounding the house where they exercise the right to think freely, which heightens my attention and makes me doubt your honesty and sense of justice, since your duty, not only as a member of UNESCO but also as a human being, perhaps as a father, should be that of protesting because the kids are so young, and the event is worthy of the best times of Hitlerian fascism. Civil servant Van Hooff, I have no reference to your ideological inclinations, but good feelings don’t have political affiliations; thus, we have to agree that if the Cuban state says publicly that “the universities are for revolutionaries,” and by having adverse opinions, different ways of thinking that don’t support the regime’s plans, students are expelled, which happens habitually, this prevents those young people from being educated. Surely, looking at the inside reality of what occurs in the country, we can agree that this is a Nazi position. No, Mr. Herman van Hooff, in no manner can we consent to your complicity in the misrepresentation of our reality, making yourself an echo of that which isn’t true, of your appalling work as director of the so-called Regional Office, especially when stating the truth is costing us human lives, family divisions, and pain in dungeons of punishment. You, intending no offense, repeat like a parrot that which the totalitarian regime delivers to you to read. Please! Go see the Cuban people yourself, walk their streets, earn the money that is contributed to your organization, don’t accept easy answers or a lack of impartiality, and then report what you have accomplished with what they entrusted you with. I assure you that your irresponsibility provokes major evil in Cuban society, and in our search for the dream of freedom. If you respect the dictatorship, as you insist, prove for yourself that these statistics are true, and then the rest will respect it. In no way Mr. Van Hooff, should you be guided by those romantic dreams of the 1959 revolution, the excessive personal ambition of Fidel Castro that truncated and killed the hope of a nation, by putting into practice his dictatorial system that keeps him in power, by the mediation of his brother, Raúl Castro. The three most important factors, health, education and sports, were flags that for years “justified” or hid the true interest of the government from outside view. The initial enthusiasm stopped, and today the hospitals resemble the catastrophe in Haiti after the devastating earthquake. In the same way follows the inefficiency of the education system and the abandonment of sports centers and attention to the athletes, so that abandoning your country and family members has become common among the most important sports professionals. Finally, Mr. Van Hooff, you more than anyone should know that in Cuba for several decades they have imparted indoctrination, and thus this society is missing spirituality. Education is directed to the unique end of rejecting all philosophy except the Marxist one, which is nothing more than the armor which the monarchy, the Castro family, has been hiding behind for more than half a century. Lawton Prison Settlement, February 2014. A drop of rain won’t make the swimming pool overflow; nor will a difference be apparent to those who see the little circles that widen when it falls, but this drop, although it appears to disappear, to dissolve among the rest, continues fighting to survive. Unjustly, the first reason that has caused the musician Gorki to be accused of “illegal drug abuse,” according to what some independent journalists have told me, is that he belongs to a gang of rockers, which is sufficient to validate the accusation, without considering that he has epilepsy, backed by a clinical history from a doctor in Mexico–from where he recently returned from a concert tour–who prescribed him the psychotropic Tradea, which is similar to carbamasepina, as it is known in Cuba. 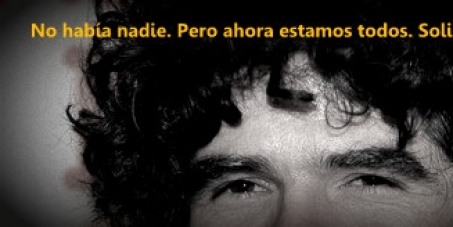 It is naive not to believe that it’s about a long-awaited revenge by the political police, who have been waiting for the chance to imprison him for the lyrics of his songs where he “offends” the Castro brothers and the totalitarian regime. The painful thing is that some of the “naive” cast doubt on the idea that State Security is on the hunt for the leader of a punk rock bank who previously has suffered two legal processes, one of which sent him to prison due to a trap set by the dictatorships henchmen, and the other one of which failed to imprison him because of the international solidarity that ended his arrest, and these same doubters question Gorki’s innocence. Too much innocence for a single soul! I know very well the case against the artist, because in my case a similar infamy was constructed. I remember that shortly before entering prison, I participated in a free art exhibition at Gorki’s house, where I told him to be careful or he would be coming to keep me company in jail. Hopefully I was wrong, and the evidence presented by the attorney Amelia Rodríguez Cala will be enough to invalidate the process, which didn’t happen in my case, although they weren’t able to present a single piece of evidence that showed I participated in the alleged acts. Gorki Aguila, I’m with you with my solidarity and my prayers. Free Gorki Águila of the absurd charges and set him free. 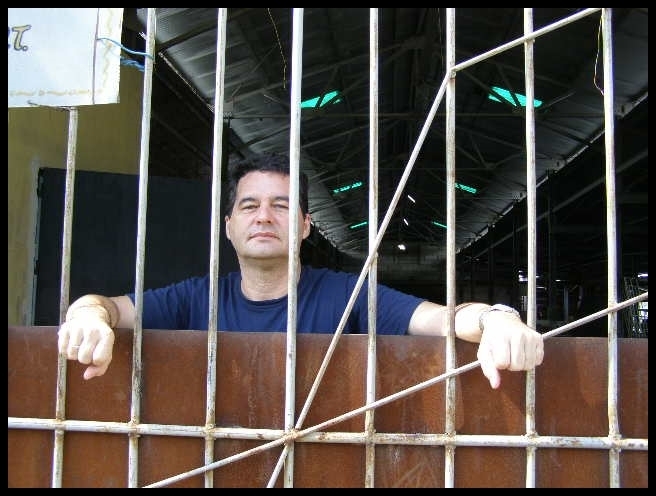 Sign this petition so that Amnesty International will declare Angel Santiesteban a prisoner of conscience. 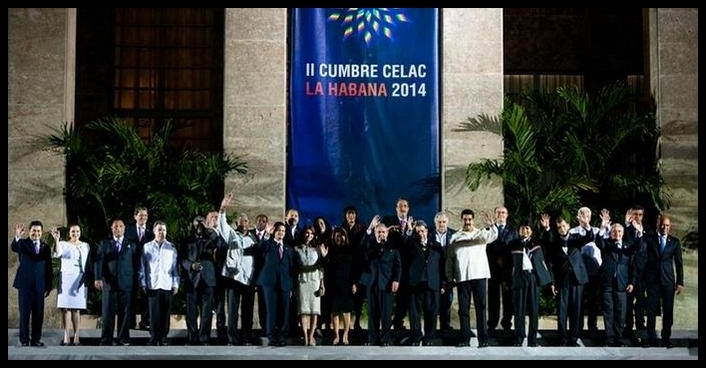 In an effort to make a final inventory of the CELAC event in Havana, one would have to begin quantifying the accolades received by the Castro brothers’ dictatorship from the leftist presidents of the Caribbean and Latin America. 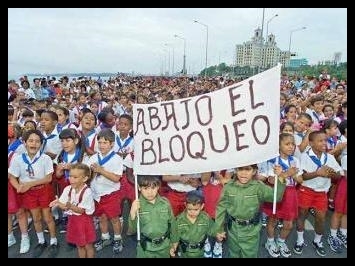 Emulating the Organization of American States (OAS) Cuba’s love-hate frustration with the continental organization from which it was expelled and its revenge for that affront, plus the loss of political leadership in the region, are the driving force of the Cuban government. 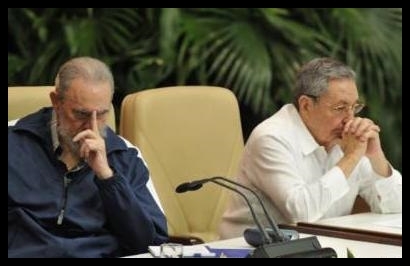 The fact that the Presidents have avoided exchanging opinions and suggestions with the Castro brothers about Cuban Human Rights is another proof of the lack of transparency and honesty of the leaders who went to extremes to avoid mortifying their hosts, also proving that they know the nature of extreme totalitarianism, a topic that is not debatable even though hunger threatens the Cuban people with death. The summit left without sorrow or glory. 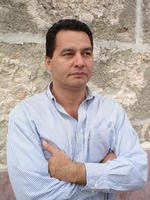 For Amnesty International to declare Cuban dissident Angel Santiesteban a prisoner of conscience. To sign the petition click here. The worst blind spot is the one you don’t want to see. While the European Union was planning to change its Common Position, the totalitarian Cuban regime was imprisoning the opposition on the eve of receiving the presidents for the CELAC Summit. In these moments of economic crisis, there is no greater urgency for the European countries than to address and to reverse their rates of inflation and unemployment. They’ve thrown aside ethics and scruples in order to decide to open up relations with the Cuban regime, never mind the fact that there are violations of human rights, imprisonment of the opposition, violent beatings of those who demonstrate peacefully and assassinations of the most outstanding leaders. We know that the Castro brothers won’t permit any imposition that would give space to the dissidence. They won’t even sign the United Nations Covenants on Civil and Political Rights and on Economic, Social and Cultural Rights, which in this 21st century, should be the minimal condition of any State to earn respect from the international community. That would be the small contribution that the European Community could give to the Cuban people, and it would be the only credible step for Raúl Castro if it’s really his intention to offer openings and improvements to Cuban society in general. Please follow the link to sign the petition to have Amnesty International declare Angel Santiesteban a prisoner of conscience.